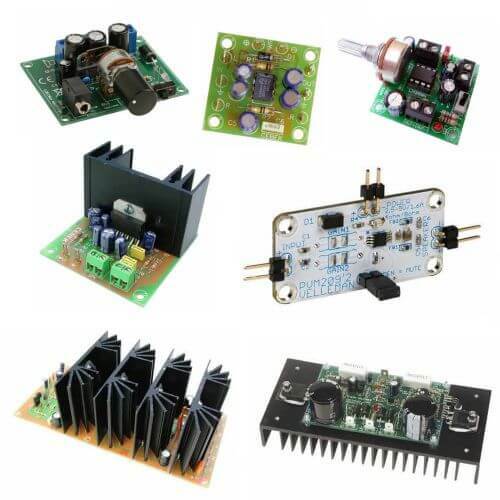 Massive selection of mono & stereo audio amplifier circuits, amplifier boards with built-in preamps and high-end audiophile valve amplifier kits & modules. Transistor and monolithic integrated IC based designs to suit industrial, professional, educational and hobby electronic applications. Kits include schematic diagrams and component listings.